Dragalia Lost is the latest free-to-play mobile ARPG from the crew at Nintendo. One of the most noteworthy changes to Nintendo's modern business plan is a drive to keep players engaged with company IP across a range of hardware. This shift resulted in Nintendo characters like Mario showing up in mobile games, something that would have been unheard-of just a few years ago. Now, the company has an all-new game ready for mobile gamers, and it's an action-RPG called Dragalia Lost. Dragalia Lost was surprise released early for iOS devices late last night, with Apple customers receiving email notifications stating that the item was ready for download. It was previously slated to release for both iOS and Android on September 27, but some iOS players are able to grab the game now and jump right into the action. The gameplay in Dragalia Lost sees players swiping their way around dungeons and battlefields, taking out groups of enemies, earning experience, and unlocking new characters, dragons, and items called Wyrmprints. Players can expect to see more than 60 different characters and 40 different dragons across the game, and Wyrmprints will be able to change abilities and grant buffs to keep battle strategies fresh. To make matters more interesting, Dragalia Lost also incorporates real-time cooperative play with up to three friends. For players who think less is more, there's also an option for the action to play out automatically, allowing the characters to grind out dungeons on their own and let the player reap all the benefits. 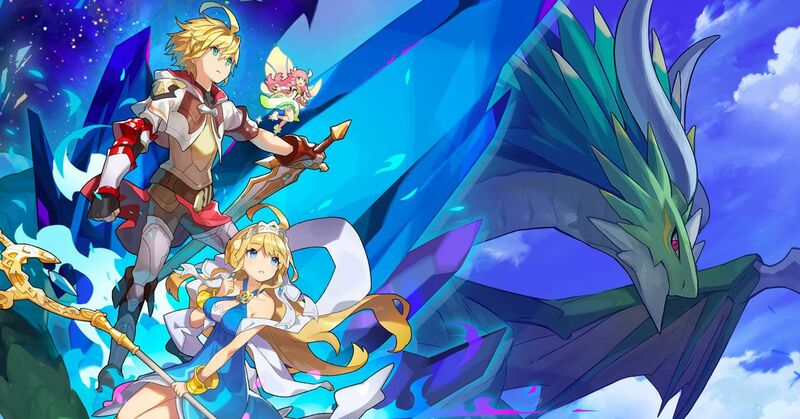 Dragalia Lost is available right now for iOS devices through the Apple App Store, and the Android version should be launching tomorrow, September 27, at which point it will be available for download via the Google Play Store. For more coverage all things mobile and Nintendo, keep it tuned here to Shacknews. I don't recall hearing what the monetization scheme was? I assume it'll be character unlock related.